(MoneyWatch) Selling key accounts is like baseball: Both have their codes of unwritten rules. Baseball fans and players know the game has an informal code of conduct worthy of a samurai. One former player said it is a game played by human beings and governed by unwritten laws of survival and self-preservation. Selling key accounts is similar to baseball. There are unwritten rules you are expected to learn if you want to pursue these major pieces of business, which have the highest profit potential. The competition to land these large corporate accounts is fierce. These unwritten sales laws are also a matter of survival and self-preservation. One such rule is that when you're trying to land a key account, your prospects are listening for certain things. They want to know if you respect their money, if you respect their time, and if you understand the risks they face. For them, it doesn't matter what you are selling; they will judge your selling tools to see if you respect and understand the unwritten rules about money, time, and risk. Salespeople have a bad habit of ignoring these unwritten rules and selling what they think prospects want to hear: quality, service, capacity, innovation, on-time delivery, guarantees, and all the other usual buzzwords. But the fact is, these are not the reasons why big companies buy. When you speak an entirely different language it shows, at best, ignorance of the rules, and at worst a lack of respect. When you use those typical words, you are asking the big company to translate what you believe is valuable to what they believe is valuable. For example, to a big company the meaning is different. Quality means time -- production lines not going down because of faulty parts, customer service calls not received because products work, and so on. 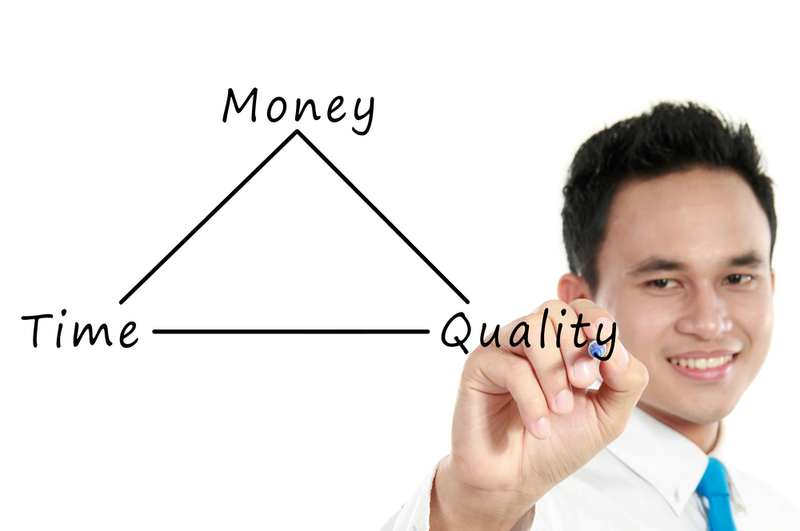 Quality Also Means Money -- repeat purchases, reduced waste in production, etc. Quality Means Less Risk -- fewer product returns, investment confidence, etc. The more complex your offering, the more difficult it is for a big organization to hear the three things it needs to hear make a decision to buy. To play the game right, we need to talk to a big company in its own language. We have to translate value based on the result of what we deliver. Remember rule No 1: What matters most to a larger organization is time, money, and risk. For salespeople, that means following the unwritten rules of doing the translation in real-time, when you are presenting the benefits of what you sell. Every benefit needs to be accompanied with an impact statement that translates to time/money/risk in the big organization's business. To be successful, those are the (unwritten) rules.